Tis' the season to be...stressed out about checking off that long holiday gift list? Don't worry, we feel the pressure too. Even though we always go into holiday season with the best of intentions to get all our shopping and wrapping done early, we can say that every year we are left in a panic a week before gifts are to be opened in front of friends and family. 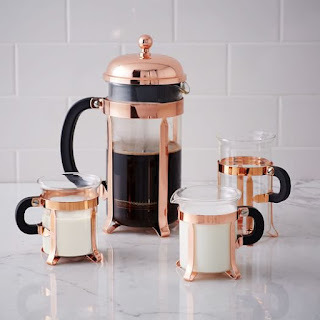 In order to make life a little easier for you, we picked out 10 unique gift ideas from one of our favorite design stores, West Elm. Did we mention that starting January 1st, we will be launching our first ever Giveaway? To show our appreciation for all of the work and creativity you put into your designs, we will be starting a 4-month long contest where you can submit your favorite installation shots of any original StoneImpressions or Artisan Stone Tile projects you worked on. At the end of the 4 months, we will be awarding the winner with a brand new iPad Mini 4. We will also be awarding a $100 gift card to West Elm at the end of each month! 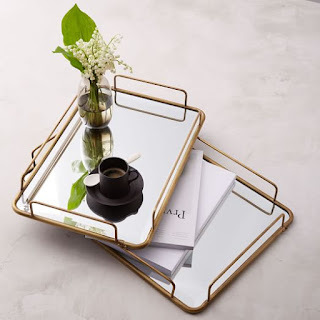 Seriously, who doesn't love a good tray? Not only are they fun to arrange, they are also very versatile. They work well on ottomans, tables, counter tops, you name it. Gift this classic accent piece to someone who loves to decorate! Anyone who says that they don't enjoy curling up next to the fire with a big comfy blanket obviously hasn't found the perfect throw. 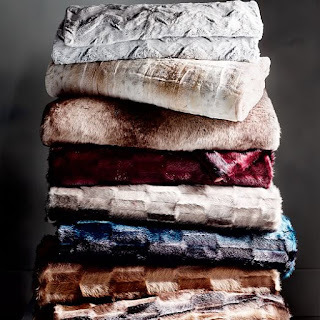 Give the gift of comfort with one of West Elm's faux-fur throws. The best part? It isn't real fur! 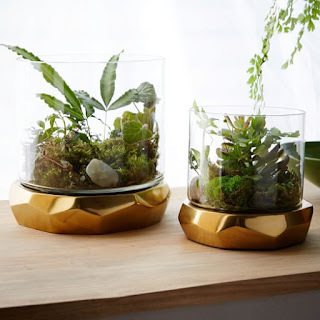 Shopping for a plant lover? 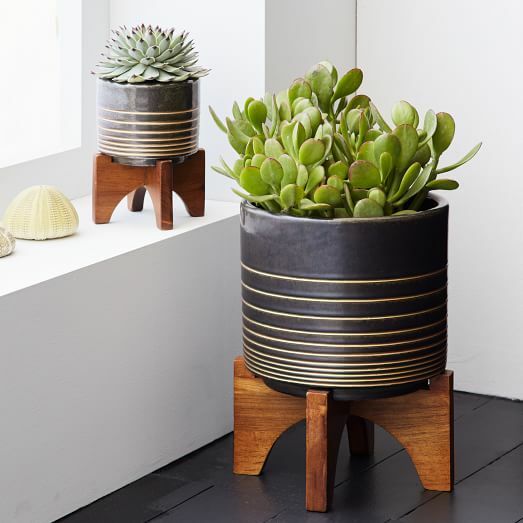 Luckily, West Elm has dozens of decorative succulents and planters to choose from, ranging in prices. This gift is both thoughtful and affordable! Okay, we know that giving candles to someone isn't the most thought-out of presents, but sometimes you need to find something fast for that distant relative or third cousin with interesting design taste. That's why we found you this nature-inspired candle set that also includes a diffuser and room spray. 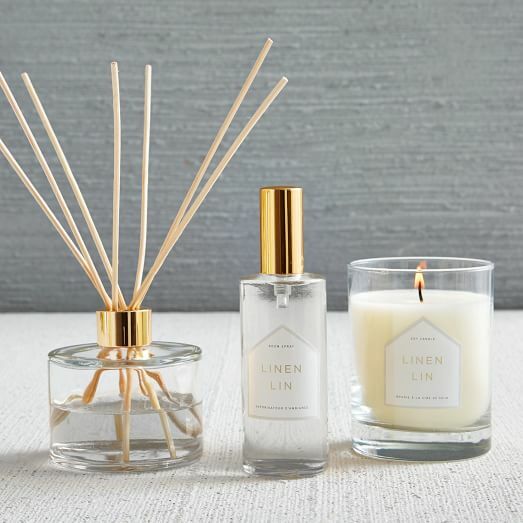 This set has a chic look and also smells amazing! 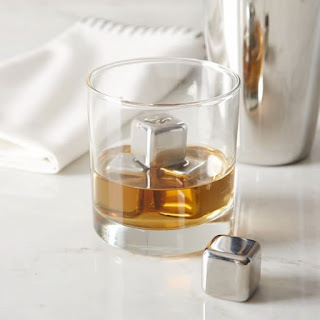 If you're shopping for a guy who is serious about his liquor, then you can't go wrong with West Elm's stainless steel ice cube set. We're sure whoever receives this gift will want to test them out right away! What man doesn't love the gift of technology during the holidays? 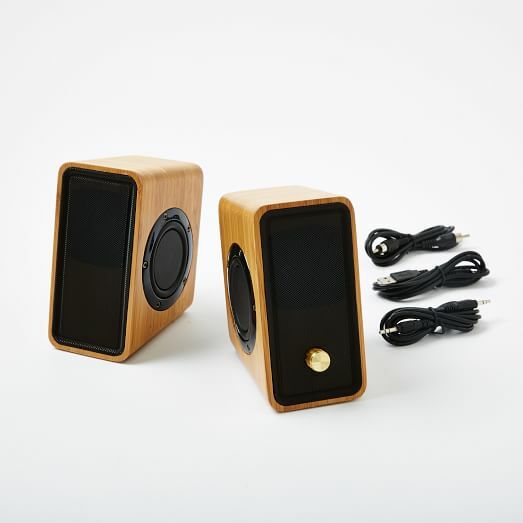 These bamboo speakers are stylish, portable and affordable. Now that the open shelved look in kitchens is becoming very popular, it is important to have kitchen accessories that are both functional and aesthetically pleasing. Luckily, West Elm has got that covered. Impress your interior design and coffee-obsessed friend with this timeless collection. Want to impress the couple that loves to throw dinner parties? Surprise them with this set of modern, stainless steel knives! 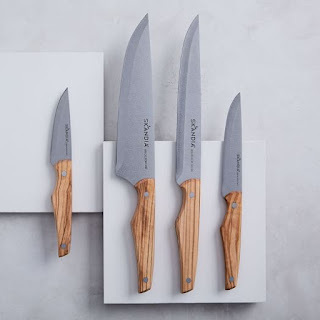 This gift is perfect for anyone who likes to get serious in the kitchen. We hope we helped relieve your stress a little-or at least helped give you some good holiday gift ideas for those tricky relatives and friends! If you don't see anything on this list, make sure to check out the West Elm Website to look at their gift guides, there are countless ideas. **Also, make sure to start looking for those great install shots to enter for our first ever Giveaway (we will be judging the quality of the image and overall design). We cannot wait to see what you have for us. If you have any questions about the guidelines for this contest, please email hilary@stoneimpressions.com. Feel free to start sending in those shots!